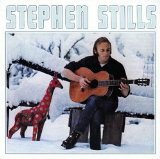 Album of the Day: Stephen Stills (11/16/70) 39 Years! Stephen Stills had already attracted considerable attention to his songwriting and musicianship skills before his first solo album was released on November 16, 1972. As a founding member of Buffalo Springfield, Stills was a central figure in the highly-regarded and influential late 60s folk-rock and country-rock pioneers. He authored several of their important songs, including the hit “For What It’s Worth, “Blue Bird” and “Rock & Roll Woman.” Following the break-up of the band in 1968, Stills teamed up with Al Kooper (of Blood, Sweat & Tears) and Mike Bloomfield (Electric Flag and top session man) in a one-off project, Super Session (highly recommended album, buy here) in June 1968. 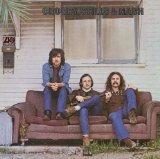 Stills then joined with David Crosby (The Byrds) and Graham Nash (The Hollies) to form the folk-rock supergroup Crosby, Stills & Nash, whose 1969 debut LP (with the Stills-penned “Suite: Judy Blue Eyes”) and its follow-up, 1970’s Déjà Vu (with Neil Young on the team) were instant and lasting classics. Stephen Stills was Stills’ debut in the solo limelight. It’s a blend of different genres (all songs were his originals) with backing vocals by Crosby, Nash, Cass Elliott and others, plus guitar work from Eric Clapton and Jimi Hendrix (to whom the album’s dedicated). Interestingly, it’s the only album in history on which Clapton and Hendrix appear simultaneously, although on different tracks. It also features the #14 pop-rock hit, “Love The One You’re With” and the #37 single “Sit Yourself Down.” Stephen Stills briefly hit the Billboard Top 5 in December 1970 and is available as download tracks from iTunes (click here) and as a CD from Amazon (click here). Album of the Day: The Byrds (10/29/69) 40 Years! 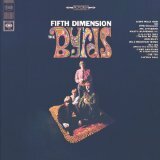 The original line-up for the Byrds lasted just three short years, from 1965 through mid-1968, long enough to produce the timeless tracks “Mr. Tambourine Man” and “Turn! Turn! 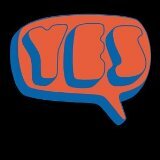 Turn!” (among a dozen others), plus four great folk-, psychedelic- and early country-rock albums. But guitarist Roger (nee Jim) McGuinn was forced to reconstitute the band when, over an 18-month period, original members Gene Clark quit, David Crosby left for Crosby, Stills & Nash, and Michael Clarke and Chris Hillman left for the Flying Burrito Brothers. From 1968 to their eventual breakup in 1972, McGuinn and the in-name-only Byrds underwent several other rounds of personnel changes, the middle of which led to the October 29, 1969 release of The Ballad of Easy Rider. The album has (obvious) close ties to the terrific July 1969 cult counterculture movie, Easy Rider, starring Peter Fonda and Jack Nicholson. The film soundtracked several Byrds tunes, including the title track and the wonderful, rambling, spacey, folk-rock gem “Wasn’t Born To Follow.” Interest in a revitalized Byrds peaked after the movie’s summer release, and the working title of the album was originally Captain America (after the film’s anti-hero character). Despite all the hype, The Ballad Of Easy Rider peaked at just #36 in the U.S. Nonetheless, it’s a great late-60s country-rock album. 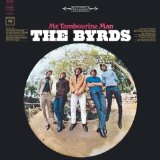 Check out my Byrds playlist at DrRock.com. The Ballad Of Easy Rider is available as download tracks from iTunes (click here) and as a CD from Amazon (click here).